Our campers get to play a slow practice game after their lesson! 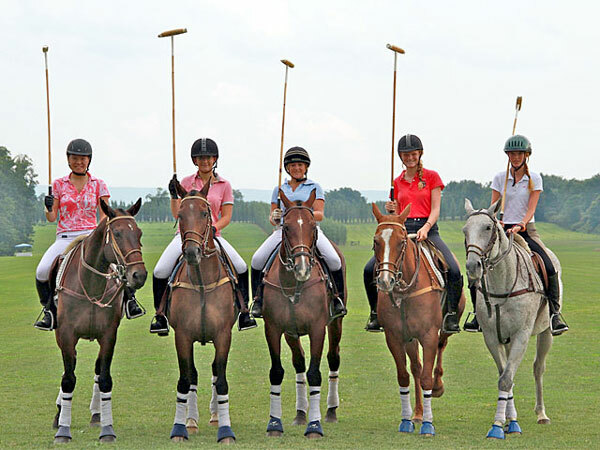 We have created a polo program which takes our beginner polo players onto a polo field to learn the basics of this exciting sport. 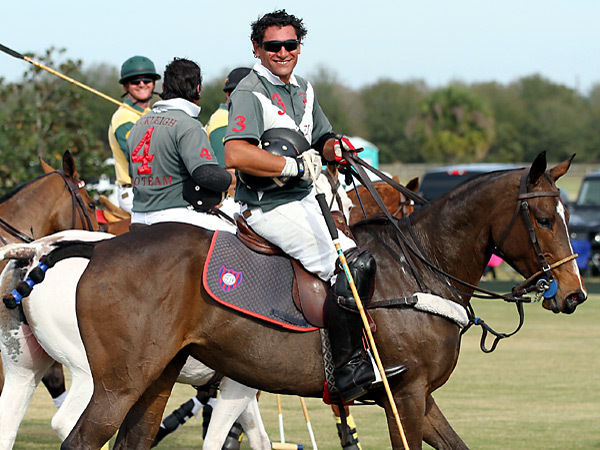 You will learn how to ride polo style equitation and how to hit the ball. You must be an experienced rider to participate in this program. 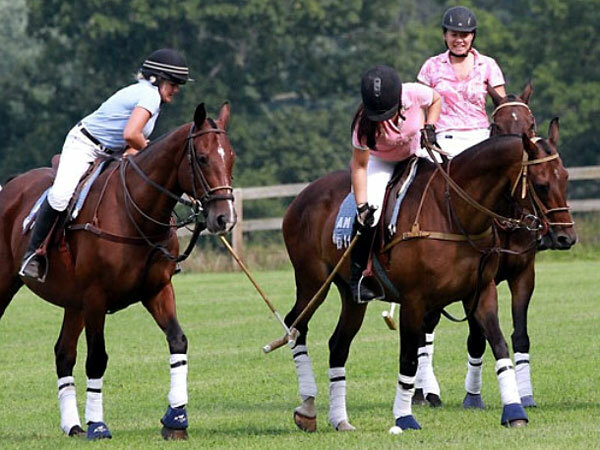 We take maximum of six students at a time to the polo fields at the Buckleigh Polo Club. 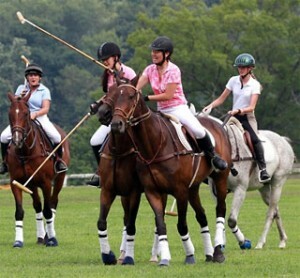 There is an additional fee of $250.00 per polo session. Maximum of two polo sessions a week, weather permitting. This is the best way to spend a summer afternoon. Can't wait to get my own string of 6 polo ponies! 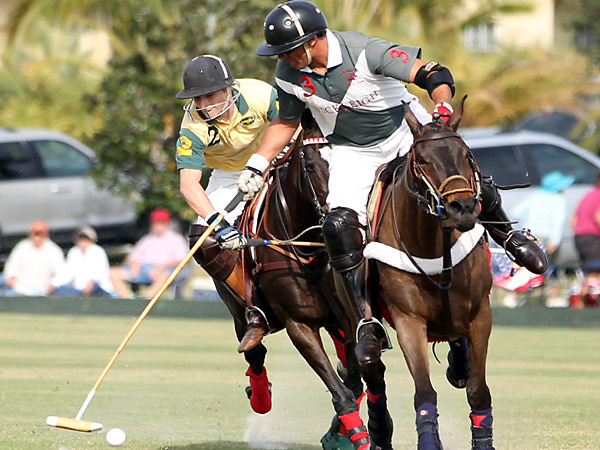 a tournament at the Vero Beach Polo Club in Florida. ball in 10 minutes and playing a slow practice game after one hour." Making a defensive hook of the opponent's mallet. This is my first time playing polo and I loved it!.